When you are not that ‘techy’ person, you might worry about this thing when buying gadgets from somewhere other than official stores and authorized resellers. So, today I am going to explain how to spot FAKE smartphones, either in just first glance, or when you are already holding it. In the era of online shopping, most people who don’t know much about it are really worried about buying online. As if they are just stuck to the principle “to see is to believe”, however, even gadgets that are sold on shopping malls and other places are prone to being fake, or much known as imitations. Now, how can you counter yourself from being a victim of counterfeit and imitation devices? Let’s go with the most common, smartphones. Due to the fact that it was small, the designs can be easily imitated and due to the demand for cheap ones, many people are looking for them on the internet or from the community of used devices, but, I assume that no one wants to pay for fake phones, assuming that on your knowledge they are original, right? Unless you really intended to buy fake smartphones, then you must not buy it at all cost. Before we tackle it in-depth, we might have to distinguish first some things. First, not all non-local phone variants are FAKE. For example, you have a Samsung phone manufactured for Korea here in the Philippines, it is known as a Korean variant. That variant/model is different from the international variant which are sold globally because of its configuration. In this case, Korean apps and cellular bands that works only in Korea are also placed on that device. But, there is really no more difference other than that. It also applies to other phone variants out there. Different phone models exist for different markets – so don’t confuse it to being a fake one. Second, when it says premium-copy or it is a phone made from different location other than it was supposed to be manufactured, then it has a high chance being fake, so don’t buy it unless you know it. And lastly, not all cheap smartphones are FAKE. We will discuss more about that later. Here in the Philippines, the common phones that are imitated are the ones created by Samsung, Sony, LG, Apple, and even the considered legend Nokia. They’re popular among fans, and considered household names already in terms of smartphone and other technologies – sometimes, the phones they make even acts as a status symbol. Other than Apple, smartphones that are running Android OS are much prone for being imitated but can be easily determined if fake through their UI (or user interface), since no smartphones from mainstream companies like Samsung and Sony are using stock-looking Android OS at all, unless for some and newer ones like the OnePlus and Google Pixel series. Add to that are the new phones that are on Google‘s Android One program. 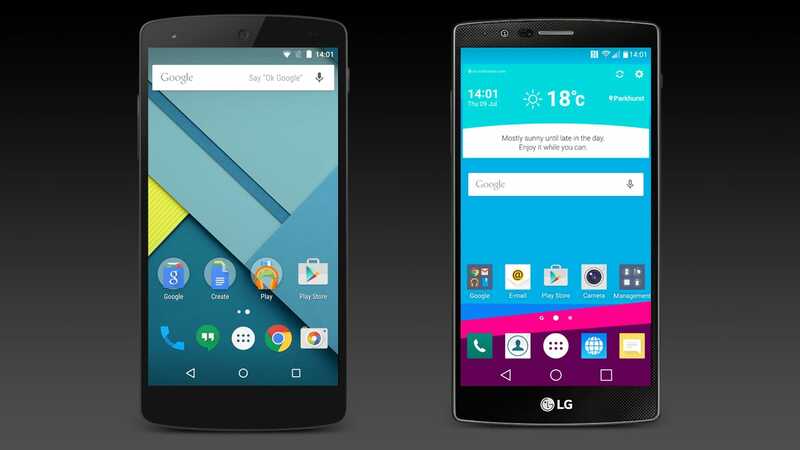 Google Nexus (left), LG G4 (right) – Nexus running stock Android while the G4 runs LG’s skinned Android OS. And because most manufacturers like Samsung, LG and Sony has their own custom Android skin running on top of Android OS, their user interfaces are usually different, rather than the stock Android interface which most imitation phones are using – since the vanilla version of Android is open source and can be ported/installed on almost all compatible hardware out there. And also, don’t forget to check the camera. If the camera quality seems poor and its user interface (UI) response is slow or lagging, it seems that you got a counterfeit image sensor installed on that phone as well as a crappy processor, so better not to get it. That’s why you should test these phones in-depth during the time of purchase or if it was from online, test it immediately prior to receiving because most of the time you only have 7 days to return the unit if you find it fake. And if you are already suspicious that the Android smartphone you might bought is fake, you can determine it by doing these final steps. No prior technical knowledge is needed, but what do you need is common sense because you’re going to do an apples-to-apples comparison. So prepare the specs of the phone from the official manufacturer’s website or any other reputable gadgets/tech review sites such as GSMArena, and a specs-lister app called CPU-Z (or any equivalent) on your mobile phone. Run the CPU-Z app and see if the details on your phone matches the details on the website. If it happens to be the same, then you are good. But if it happens to be different, you’re not. For example, on a Samsung phone, the company has their own system-on-chip (SoC) / CPU called Exynos (although some Samsung flagships use Qualcomm’s Snapdragon SoCs), but if a different CPU brand appears on the field, you probably got a fake Samsung Galaxy smartphone. Samsung don’t employ any other chip brands such as MediaTek on their flagship units at all (except on some midrange Samsung smartphones), which you can see on almost all copycat and even original budget smartphones out there because they are cheap compared to other processors such as Qualcomm’s Snapdragon. You can do the same procedure to all phones you have, but remember to check the specs on the manufacturer’s website and compare it to your phone via the app I’ve mentioned earlier, since most of the time, these components vary by manufacturer, like for SoC/CPUs, we have Qualcomm’s Snapdragon, Intel’s Atom, Samsung’s Exynos, MediaTek’s Helio (MTK) and etc. On the other hand, let’s go to perhaps the most popular imitated device out there, iPhone. Luckily, Apple registers all the units they’ve manufactured legitimately on their database so you can easily check if the iPhone is legit or fake. However, the best method to check its legitimacy (known as checking the IMEI number on Apple’s official site – Activation Lock check) has been removed by Apple last January due to an undisclosed reason, so screw them, at least. However, if you don’t have internet on your location, remember this one single thing. All iPhone / iPad / iTouch imitations are not capable of running TRUE iOS at all. 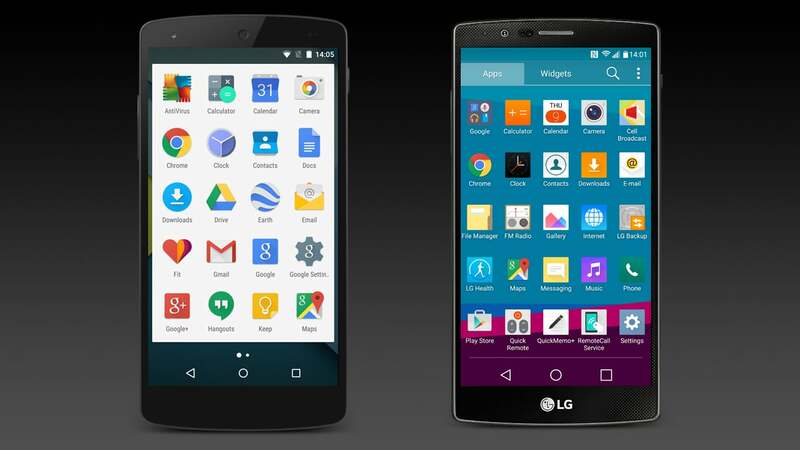 They are just either Android OS, skinned to look like iOS. You may be fooled by the design, but not with the software and performance at all. First, check the settings. 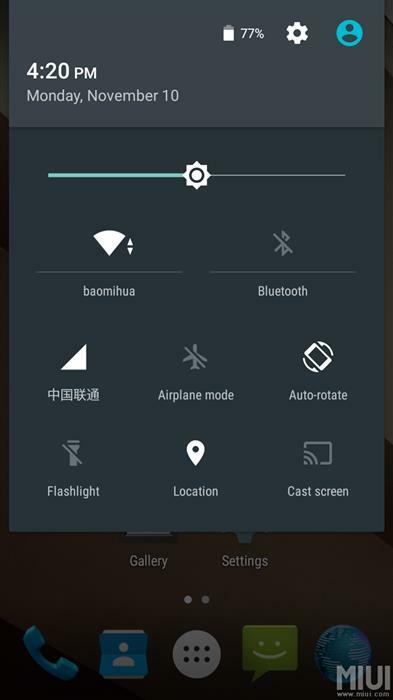 If the settings happen to be the same with Android phones, check the About. And if the about doesn’t show the current iOS build (i.e. 10.1 and all of the other stuff including IMEI and serial number), you are hosed. Second, all counterfeit Apple devices are not capable of connecting with iTunes and not capable of syncing with iCloud at all. Try and check if you can find and add an Apple ID or an iCloud account. Third, check if the phone’s port is a lightning or a micro USB port. Not to be confused with the newer USB-C port which really looks the same with Apple’s lightning port and Intel’s Thunderbolt, which you can find on newer computer hardware and Macs. JUST CONNECT IT TO A COMPUTER WITH ITUNES INSTALLED. If iTunes won’t recognize your device, you’re doomed. So probably the last thing you can do is to look for a File Manager, and if the phone has the file manager app like Android, you can now go home, because that iPhone is drunk. iPhones don’t have file manager apps at all, unless they are jailbroken, meaning you have root access. If it happens that a phone is either jailbroken or rooted, and you don’t know what that means, don’t buy the phone. You are exposing yourself to more danger from using these devices in terms of software, unless you know what you are doing. Because that jailbroken or rooted phones may come with malwares/spywares which can get important data from your phone, like contacts, passwords, and even credit card info. However, not all rooted and jailbroken devices are FAKE, it was just happened that these devices are capable of having full/root access into a phone’s file system, meaning you have the access to all the files in the system, including the crucial system/OS files, which if configured incorrectly, may leave your phone useless like your ex. Probably the hardest phone to imitate is Nokia. Try to drop the Nokia phone you have, and see what happens. If it breaks, it is fake, and if it breaks the surface where you have dropped it, it’s original. Just kidding. If it breaks, it’s fake. Nokia’s proprietary OS are not that easy to install, and only the service centers and manufacturers have the access to it. That’s why if you happen to see a Windows phone by Nokia or Microsoft, 97% they are original. The three percent, goes to those old phones using counterfeit Symbian OS (their old OS before Windows Phone), and that’s not a smartphone at all, probably (i.e. the new Nokia 3310 does have so many counterfeits on the market – but we’re not tackling it here). However, it could be a problem to figure out whether their newly-released Android smartphones are original or fake, since they’re also running now on Android OS as well – although they’re not using pure stock Android at all, you can be fooled if imitators successfully imitated its design principles. If you’re suspecting that a Nokia Android smartphone is fake, try getting back on the paragraph above, and see what will happen. Due to the fact that the imitation phones are also innovated as far as these flagship phones are, the way to distinguish fakes between originals are becoming harder. Keep these things in your mind when you are about to buy something, even on some official kiosk/stores and resellers, because you can sue them if they sell you fake devices, which can let you earn money from filing multi-billion lawsuits (lol). Perhaps, you don’t want to have your hard-earned money to buy these gadgets go to fakes (unless you really intend to buy one, though). Remember, smartphones are your companion, so you must choose a great one. Even the specs sheet on the box may fool you, so better check it out if you feel suspicious about it.